The Southern Counties and Sussex Indoor Championships (record status). (I was behind the scenes in the lower photo.) Roughly 130 archers shooting. It was the first time I have done this one, and although I shot really badly ( and I mean, really, badly!) I won the double and came 3rd in single and something else. Although it is a huge match, with people coming from all over the south east, it was very friendly - even the judges. Had a lovely day. It's not that far - and you don't need your passport. Five of us piled up from Newhaven and will no doubt do so again next year. Volunteers wanted! I wish all my lovely readers the very best for 2016. I hope you improve your archery skills and win lots of prizes. I cannot think of a more fitting picture. 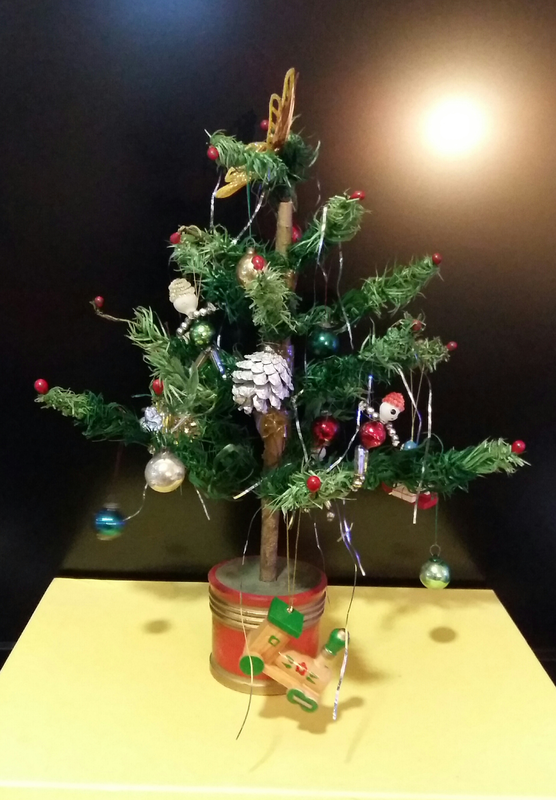 This is a little Christmas tree, which ever since I can remember, we have put up every year. It's about 15 inches tall and very old (possibly 70 years' or more). It's always been called 'Michael's tree' but sadly, the people who might know a little bit more about its provenance have passed away. Mike died this September, so in his memory I have popped it onto this, my favourite blog, so that when I go through from time to time to check the links etc, I will be reminded of him. While I'm here, I may as well remind you that the very last indoor shoot for us at Seahaven this season, will be our combined Portsmouth BA/Winter Championships round, which serves the dual purpose of being our final BA Champs round too. Sunday 29th March starting at 2pm. Don't miss it! We also need help getting all the equipment transferred back to the field afterwards please. 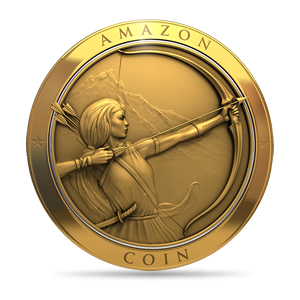 Have you seen the beautiful amazon coin image? I couldn't resist popping it in here for no other reason than it's gorgeous! 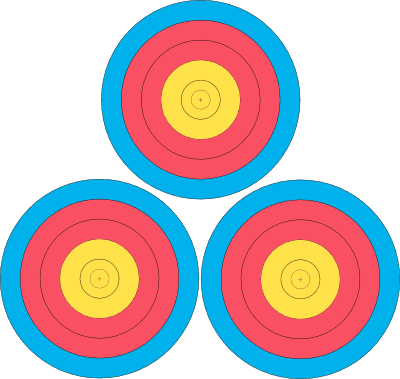 How Do Archery Rose Awards Work? A very good question, I ask myself every year!